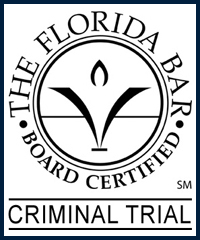 Lakeland Trafic Ticket Defense Attorney - Lawyer, Providing Professional Trafic Ticket Defense Attorney legal services for Lakeland, Winter Haven, Bartow, Polk County, and the surrounding Central Florida area. Call 863.660.2185 to Speak with Lakeland Trafic Ticket Defense Attorney / Lawyer, Joshua E. Schoen. A Traffic Ticket Violation is a generally considered to be an act of non compliance with traffic safety laws. Traffic Violations are often referred to as a Traffic Ticket, Traffic Citation, or Traffic Infraction. If you represent yourself in traffic court, you have the opportunity to tell your side of the story, however you have a law enforcement officer testifying against you, giving most people a slim chance at best of "beating the ticket". Your best option for fighting a traffic violation or a criminal traffic offense is to have professional legal representation in your corner. Your traffic defense attorney will hold the state to it's burden of proof, question the probable cause to pull you over or search your vehicle, question the calibration of any scientific or mechanical devices that are being used against you in court, present available witnesses for your defense, and offer the court a viable and aggressive defense in an effort to prove your innocence. Protect your rights by seeking the legal advice and representation of an experienced Lakeland Trafic Ticket Defense Attorney / Lawyer. Contact Lakeland Trafic Ticket Defense Attorney / Lawyer Joshua E. Schoen at 863.660.2185 in the Lakeland, Winter Haven, Bartow, Polk County, and the surrounding Central Florida area.